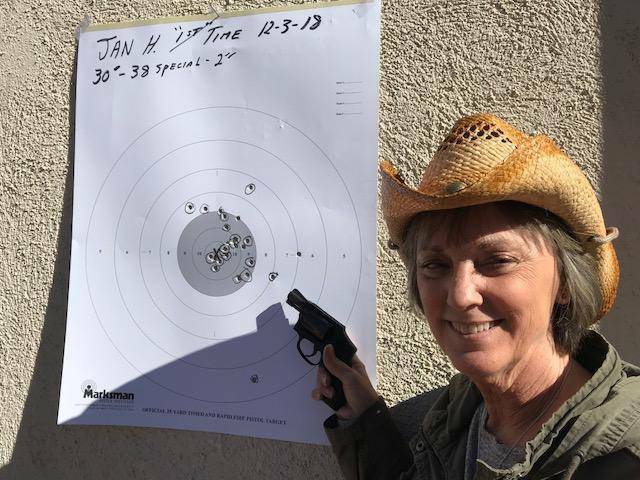 Today I took my sweetie to a local shooting range for her first time firing a pistol. 30 feet with a 2"- S&W 38 Special. Her name doesn't happen to be Annie, does it? Excellent! Don't mess with her!